As the Summer of Love comes to an end, 15-year-old Ida Petrovich waits for a father who never comes home. While commercial fishing in Alaska, he is lost at sea, but with no body and no wreckage, Ida and her mother are forced to accept a "presumed" death that tests their already strained relationship. While still in shock over the loss of her father, Ida overhears an adult conversation that shatters everything she thought she knew about him. This prompts her to set out on a search for the truth that takes her from her Washington State hometown to Southeast Alaska, where she works at a salmon cannery, develops love for a Filipino classmate, and befriends a Native Alaskan girl. In this wild, rugged place, she also begins to understand the physical and emotional bonds that took her father north and why he kept them secret--a journey of discovery that ultimately brings her family together and helps them heal. 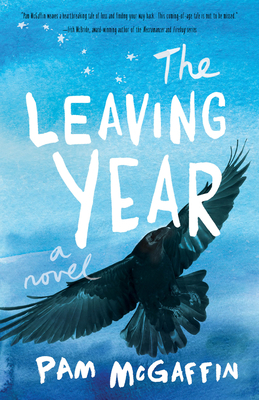 Insightful and heartfelt, The Leaving Year is a tale of love and loyalty, family and friendship, and the stories we tell ourselves in our search for meaning.